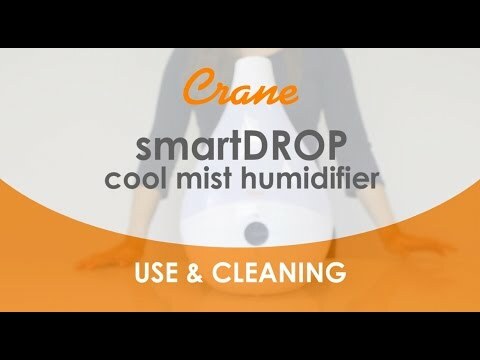 HOW DO I CHANGE MODES ON MY SMARTDROP? AFTER I SET MY HUMIDITY, WHY DOES THE SCREEN SHOW A DIFFERENT NUMBER? After adjusting any setting, the device will always return to show the CURRENT room humidity. The “target” humidity is only shown when making changes on that mode. Once the space reaches the desired humidity, it will automatically shut off. If you would like to have the humidifier run continuously regardless of the humidity in the room, keep pressing the UP arrow until the number changes to show two circular arrows indicating “continuous run”. 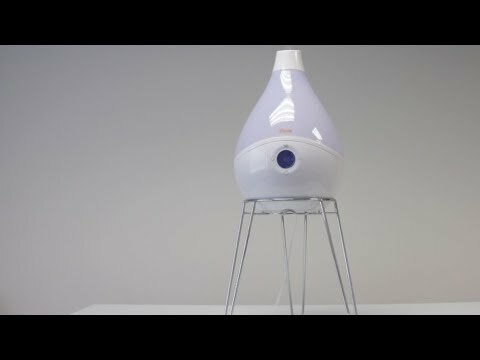 If you set a “target” humidity rate for your space, the humidifier will automatically shut off once the room reaches the “target” rate. If you would like to have the humidifier run continuously regardless of the humidity in the room, keep pressing the UP arrow until the number changes to show two circular arrows indicating “continuous run”. 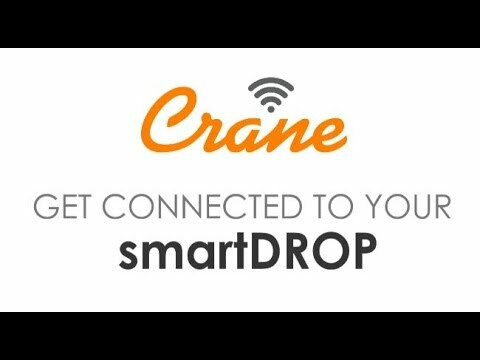 HOW DO I RESET MY SMARTDROP? To reset, enter the Wi-Fi mode through the menu button, then press and hold the up button for 3 seconds until “SET” appears. Then press and hold the up button for 10 seconds and the humidifier will reset to its factory default settings. This should only be done if your smartDROP is experiencing any operation difficulties. 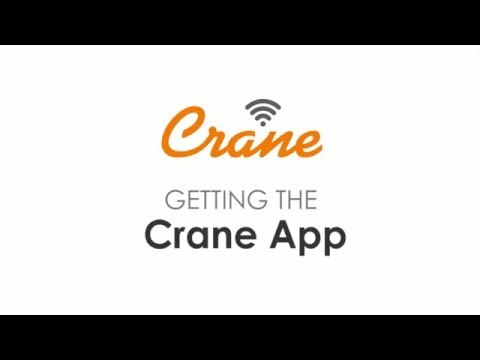 WHY CAN'T I FIND THE CRANE APP TO DOWNLOAD? The app is available for a FREE download on the apple store or google play. If it is not showing up when searching “Crane” we suggest trying “Crane USA” or Crane Wellness”. That should do the trick! We also have a helpful video here that may help! HOW DO I CONNECT THE APP TO MY DEVICE? Try following the step-by-step guide built into the “Add a Device” page on the Crane App. For specific connection tutorials for your device, see our How-To videos here. CAN I CONNECT MY PRODUCT TO A PUBLIC NETWORK? Crane smartHOME products cannot connect to public networks. They are meant to be used in your home, not only because it looks good, but also for security purposes! CAN I CONNECT MY PRODUCT TO A HOTSPOT? Sure! Just not a public Hotspot that requires you to acknowledge terms (such as hotels). No device is smart enough to read through their terms and accept them… yet! Even so, we wouldn’t want anyone to connect to public Hotspots for security reasons. WHAT HAPPENS TO MY DEVICE IF THE POWER GOES OUT? Your smartHOME product is programmed to go into a “stand by” mode after they’re turned off for safety reasons. Once the power comes back on, they will be ready for use immediately – and you will not need to reconnect to your Wi-Fi. WHY HAVEN'T I RECEIVED THE EMAIL TO AUTHENTICATE MY ACCOUNT? Check your spam folder to see if it wound up over there. (AOL accounts tend to do this the most) If you still cannot locate the email, please contact our customer care representatives and they can manually send you the link. I CAN'T FIND THE ANSWER TO MY QUESTION HERE, WHAT DO I DO? Sorry, it’s new… but we are here to help! Contact us using the Crane App, Live Chat, email us or just give us a call at 888-599-0992. We are happy to assist in any way we can, or even pass the issue on to our developers if necessary.